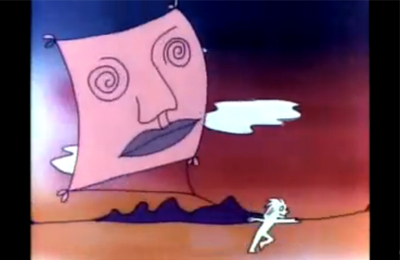 Watching an entire video of John & Yoko is too sad, so I liked this blend of Lennon's drawings (animated) and dark New York City clips. I picked this up on something of a whim, along with a repurchase of Aubrey Organics Blue Camomile shampoo (reviewed here, a bit). Hm. Honeysuckle Rose smells heavenly; though, to me, neither of honeysuckle nor of rose. Rather, it evokes orange blossom, only without the loud righteous cleaning-product edge so many orange blossom scented products fall prey to. Really nice soft fragrance, which lingered in my hair a commendable several hours. 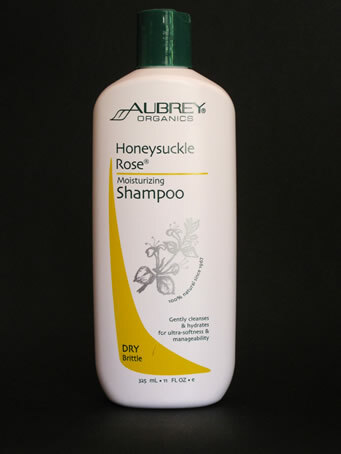 But, they're not kidding about "DRY"--this may be the ideal shampoo for desert-arid hair (a notch behind Dr. Hauschka's Macadamia and Orange Shampoo, which could lube your bike chain). Used Honeysuckle Rose the once this morning, and could tell right away it was too heavy for my fine, limp, "combo" hair (oily roots, dry ends). Oh well. I look forward to mixing it with an Avalon Organics shampoo I find too drying. 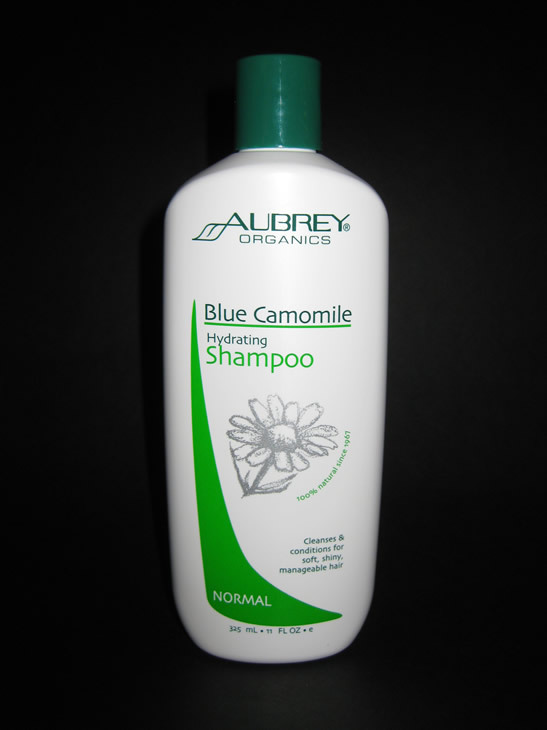 I can see Aubrey Organics are a bit literal about their shampoos...Blue Camomile was labelled both "Normal" and "Hydrating," and it made my hair quite normal, perhaps a tad on the hydrated side. Camomile Luxurious was both "Normal" and "Volumizing"--pretty normalizing, a skosh less moisturizing than Blue. 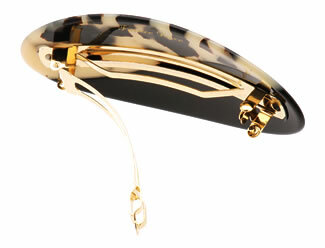 As long as you don't get a huge clip, it should hold even straight, slippery fine hair as well as a claw does. 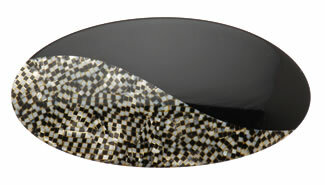 Originally I was seeking a plain matte black barrette (difficult to find, most are glossy), but the yin and yang of this particular design caught my eye. The former...you've probably never heard (okay I have socks older than some people); the latter is a tad obscure, yet amazing. Come to Mama! A built-in remedy, for Khrushchev and Kennedy--yes, I remember that song--I like these shoes, what with the little architectural windows. 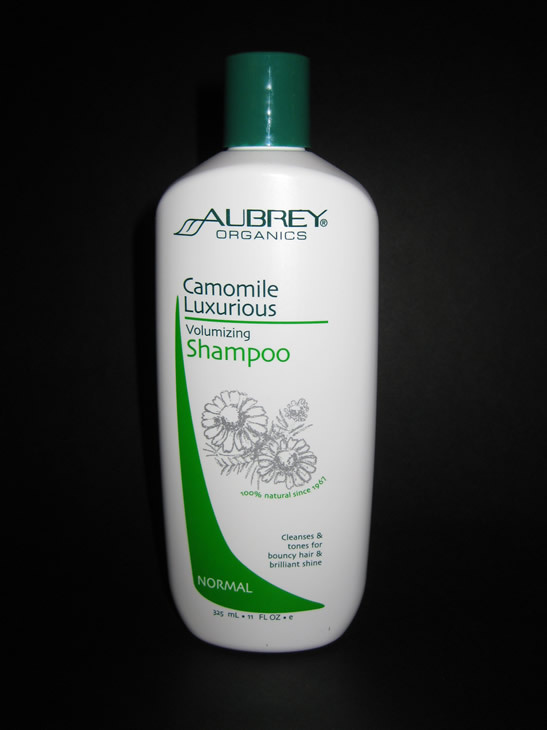 Aubrey Organics Camomile Luxurious Shampoo review, updated. Blue is thicker...I don't require weighty shampoo, but Luxurious was actually kind of hard to use, it was that watery. You had to pour and apply so carefully, to avoid wasting precious 'poo. Blue smells better, as well: light and faintly sweet, rather than the almost medicinal scent of Luxurious. In fact, Blue has achieved this shampoo ho's (unusual) stamp of approval. Neither lathers particularly well, being organic, but they do clean. If the road to hell in software development begins with: "Wouldn't it be nice if...", in wardrobe development, it is: "There's a shop..."
This is a killer top. You may be thinking, meh, it's a cotton top...but it wasn't casually slapped together. Like the Art shoe above, a certain amount of thought went into its construction. 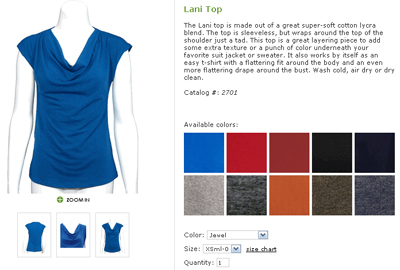 This top has a sort of draped, almost paper-like neckline (and cloth that evokes paper is one of my favorite things). The look is more timeless than the cowl neck I was contemplating before. The cut around the bust is generous (yay! 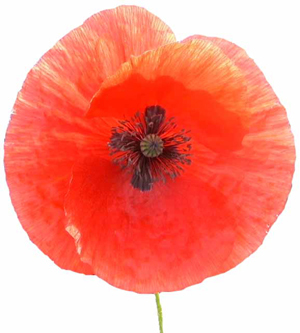 ), without appearing baggy. Presumably the neckline would simply be more or less draped, depending on what size rack we are talking about. 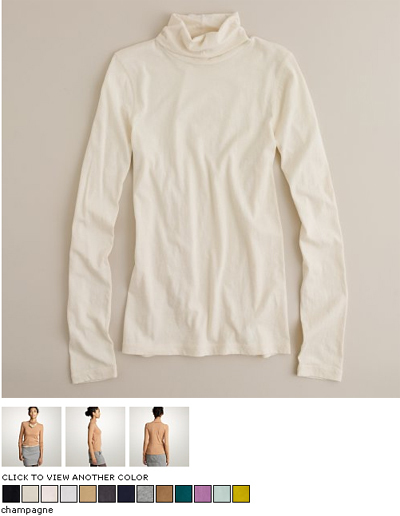 The tiny "sleeves" make it seem more season-spanning than true sleevelessness, yet of course it would work in hot weather. And...it's not cut straight, the way a dude would make it. It subtly undulates at the sides, just enough to be flattering, without being cheesy. I'm starting to like these, even though they strike me as impractical. 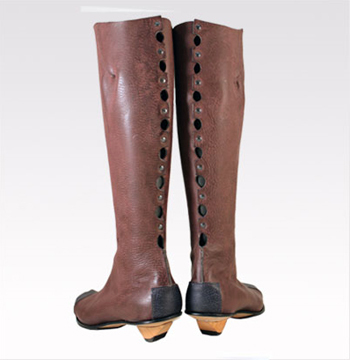 When it's cold enough to don tall boots, the last thing in the world you want is a row of holes in them. Yet there is something pleasantly architectural about them. You could always wear wool tights I suppose. 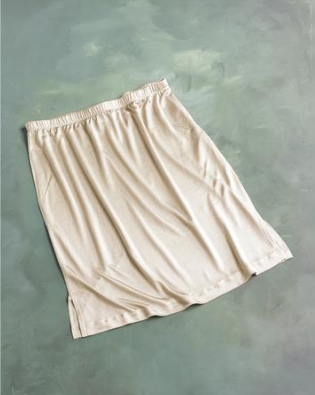 I got one of these...a non-pencil, yet narrow skirt. 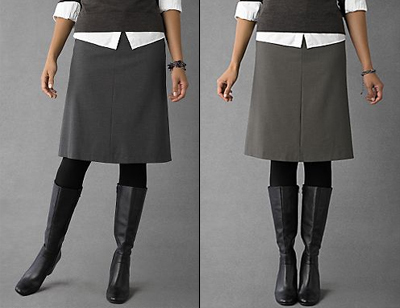 I loved pencil skirts when I was a kid, but have been reluctant to wear them now. 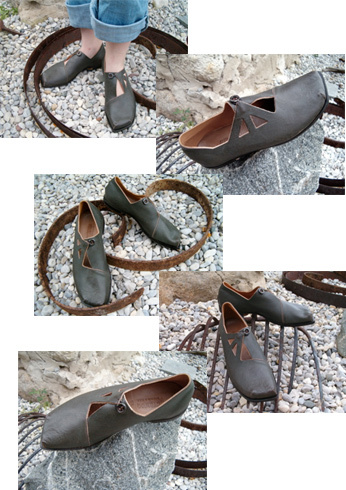 Not sure why; perhaps I've just seen too many of them (lost my interest in engineer boots for the same reason). 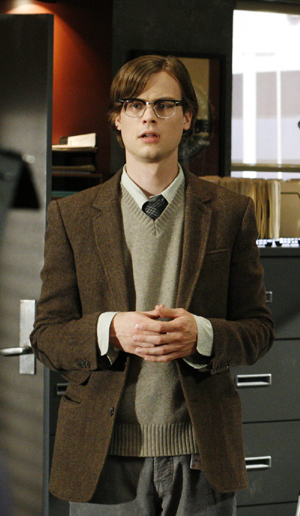 This character from television's Criminal Minds is...my new style icon. I know, I know, he dresses too fly for an FBI guy, and he is a dude after all, but I love his style.